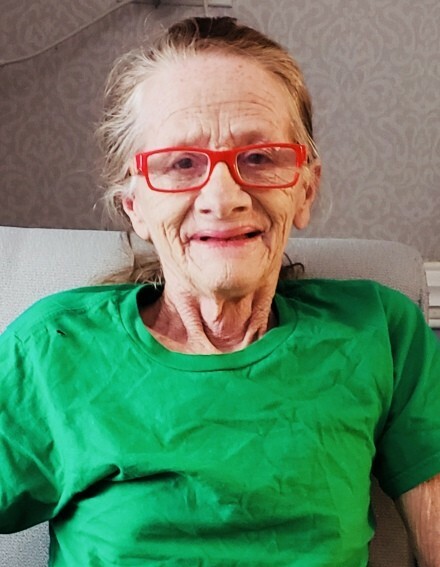 Kathleen Porter, 63, of Lawrence, Massachusetts, died Sunday, March 31, 2019. Kathleen was born February 5, 1956 in Loon Lake, NY and a lifelong Lawrence Resident. She was predeceased by her Son Dennis M. Porter, parents Alice & Leo Porter, Sisters Rita Deforest, Mary Demers both of Lawrence, Brothers Fredrick Porter of Lawrence and James Porter of Vermont. She is survived by Daughter Laura Juliao (Porter), son in law Alex Juliao both of Brazil, Son Jason Porter of Lowell. Grandchildren, Amber Porter, Brandon Porter, Nicole Porter all of Lawrence, Nuith Juliao of Brazil. Great Grandchildren Daviana & Davian of Lawrence. Sister Evelyn Porter of Lawrence, Brothers Donald Porter, Paul Porter and his Wife Marjorie Porter, Edward Porter all of Vermont and several Nieces & Nephews. The Family would like to thank her Sister Evelyn Porter and her Great Nephew Leo Porter for their help and love during Kathleen's brief illness. Thank you to her Dunkin Donuts crew who offered prayers and comfort. A special Thanks to Merrimac Valley Hospice for their dedicated attention and support. Relatives & friends are invited to attend visiting hours at the Diaz-Healy Funeral Home, 107 South Broadway, Lawrence on Tuesday, April 2, 2019 from 5 - 8 p.m.